Why, hello JULY! My birthday month takes off today, and yes I plan to bother the stuffin' out of you about it, thanks. This week has held highs and lows, but it never fails that a few things made me smile in the midst of it all. Below are my latest obsessions, and I know you'll just love them, too. 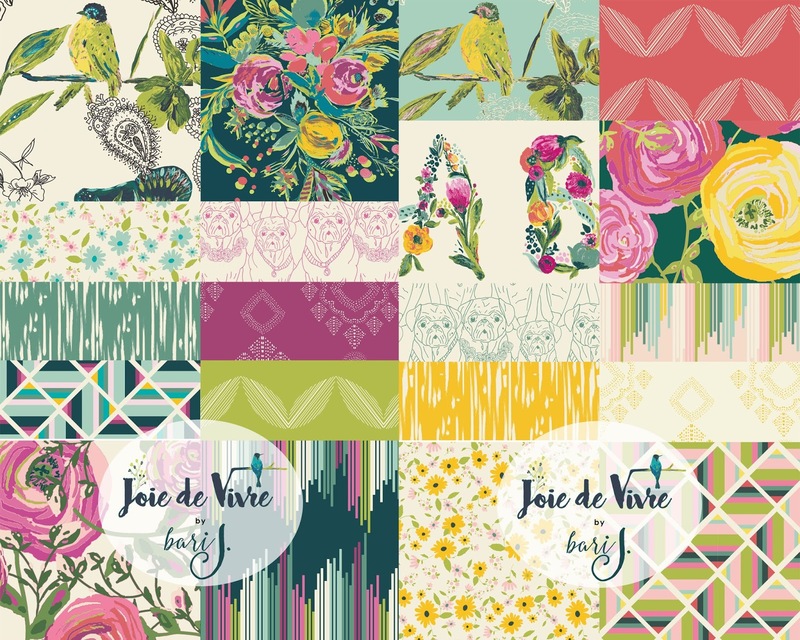 Joi de Vivre by Bari J.
Oh my heavens, I want to make ALL THE THINGS with these fabrics! Bari J. Designs does stunning work, and her instagram is equally as swoon-worthy. I'm not much of a seamstress myself, in fact my costuming class brought my first meltdown of college, but a girl can dream. The Joi de Vivre line by Art Gallery Fabrics has tons of gorgeous patterns, particularly the florals, and an alphabet set that makes me want to monogram everything in sight (more than I already do). I may not be able to sew like a pro, but maybe a fun bunting is in my future. I predict pom-poms will find their way into the mix, too. It's reveal week! 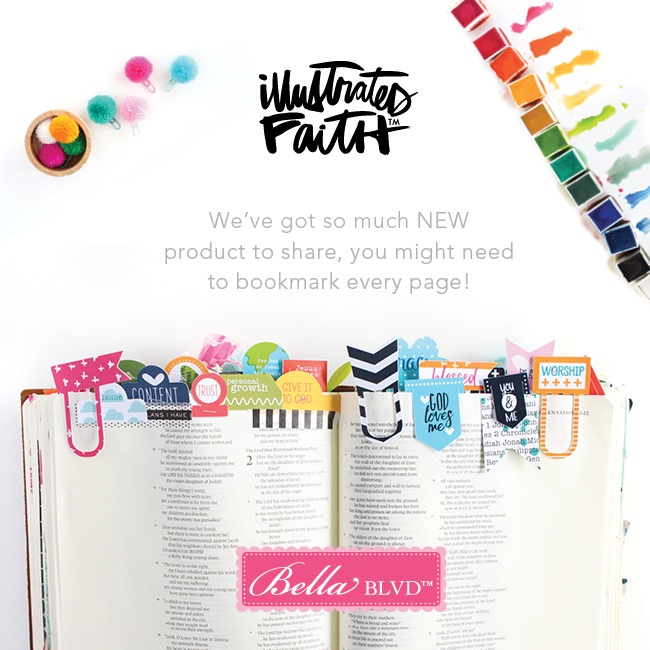 When the creative team first got a sneak peek at the upcoming Illustrated Faith products by Bella Blvd, we simultaneously squealed. It's been such a hard secret to keep! 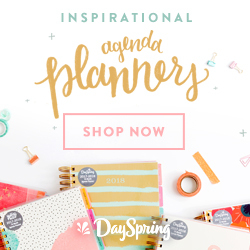 SO many new products and fun themes are headed your way this year, and all week long on Instagram and the Blog, Bella Blvd has been sharing the upcoming collections. From pom-pom paperclips to watercolors, tab stickers and bright alphabets, the designs are HEAVENLY. No, really. ;) So far Bright & Brave is my favorite, what with it's popping colors and retro designs. Those typewriters are SO CUTE! The new products will be released in August, so stay tuned for more details! 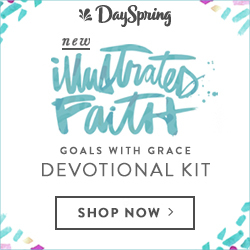 If you're itching to get your hands on some Illustrated Faith products today, DaySpring is having a STELLAR SALE! Get 25% off your entire order with the code THANKYOU. Find the sale HERE. Somehow this video floated across my Facebook feed yesterday, and I may or may not have teared up listening to it. You can tell from the title how well his audition went, but it is definitely worth a watch! It's videos like these and The Voice blind auditions that I get hooked on in the middle of the night and watch for hours on end. Enjoy! I'm featured on the Illustrated Faith blog this week with my first week of Revival Camp. I've been diving into the online workshop and LOVING every second of it. The devotional content is super encouraging, the graphics so fun, and I've loved getting to put my own spin on it. Find my Revival Camp blog post HERE. That's it for today friends.